Interesting, @Phil B ... After some careful inspection over a multi month period I've missed the last 12 or so days at our targets. Although I can only hit one this evening, I'll do so to see if all of the Ties and X-wings I've referenced in the past (and, at most of our targets, that go cart racer) have given way to lavalavalava. I got the Kylo Ren Shuttle and FO Star Destroyer today. LEGOLAND Discovery Center. Spotted 10 C3p0 at TRU about 2 weeks ago. Could be just that TRU was slow... didn't see those in Jan. Someone found some last month - forget where - Disneyland? At least one NH TRU now has the "mini fin/wing" Statue of Liberty polybag (40026). Not nearly as nice as the minibuild at the NYC stores (relative comparison, of course), and overpriced at $5.99. There were about 20 there: I bought none (prefer my NYC builds). Poe's X-Wing along with the TIE Prototype polybags have been overflowing at my two local Targets in Alameda and Emeryville, CA for at least the last three months. No longer overflowing anymore. My two Targets cleaned out the Poe X-wing and TIE Prototype polys in favor of the new Nexo one. There's no way they could've sold all of them. Does Target just put them in the back? Double check the set inventory on the ice bear. I want to say there's a part in there that's a bit unique and shared with the Bat Pod. I've been flipping bat mobiles, do you think there's any long term hold for these? It seems like TRU is full of these again. I only figured it out when I was short a part for my BL'd Batpod. I have a lone Ice Bear I picked up for myself and I almost grabbed that part for the Batpod. Ended up getting another one of those parts so didn't have to worry about it. Wish I had known when there were tons of hanging around here. I probably saw thirty ice bears today at target. Should I buy them? I found this tonight. I haven't seen it mentioned anywhere else. Will this increase or decrease the value of this set? It's been available at LEGOLAND California for a month or two. I think this means that come July @Sfcommando14 will have 50+ of these, and we're all getting them for free by going by our Gamestops. 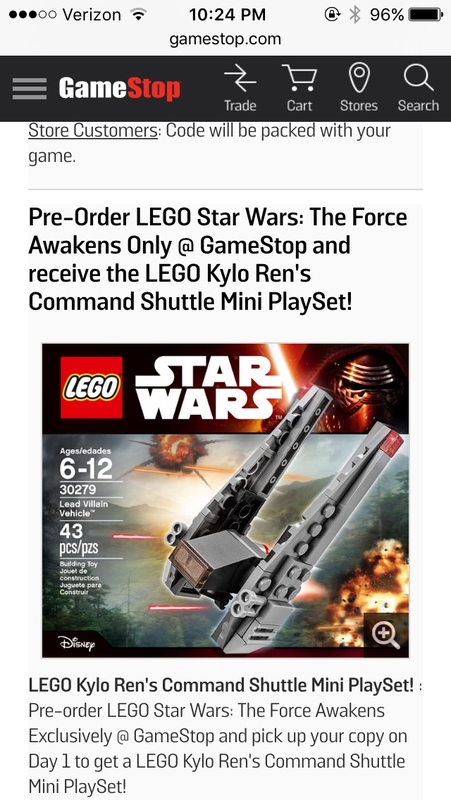 Interestingly I had been told by Gamestop employees that FN-2187 was going to be the pre-order poly for LEGO TFA.... guess they are as clueless as LEGO Store employees. I think FN-2187 is supposed to be a polybag packaged inside the game. So you'd be getting 2 polys if you preordered the game? I'm glad I haven't bought any yet. Now my Silver Centurion/Iron Patriot army will have a fleet! 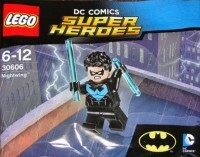 Showing on TOysrus.com, but not available for purchase yet.